7 awesome tips for new freelance writers and some hard, fast truths (good and bad) about the freelancing world! If you’re new around here you may not know that I’m a full time freelance writer! 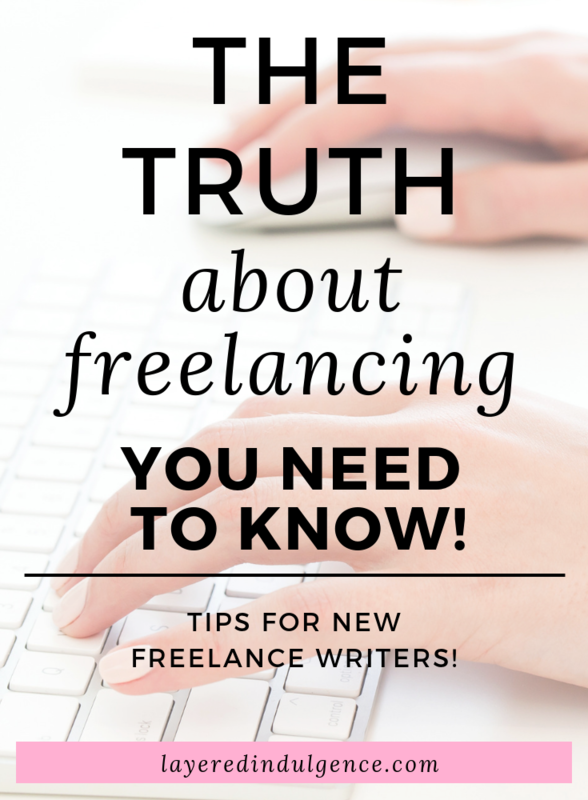 I jumped into freelance writing as soon as I graduated from school. I worked a couple of office jobs throughout University and did internships throughout my Masters program (I did my Masters in Fashion Communication), and although I was so grateful for those opportunities and learned A LOT about writing for the online world, I also realized I didn’t want to go in to an office everyday. 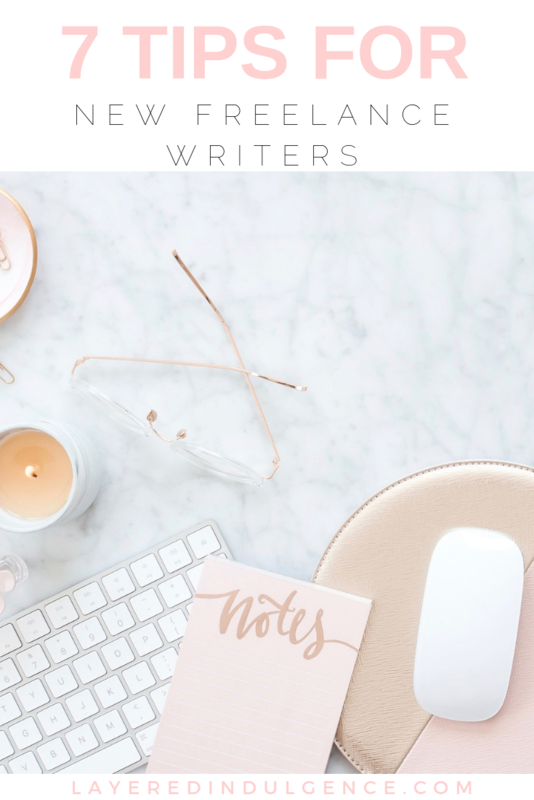 I didn’t really know freelance writing was a real option until I started doing some research online, and here I am three years later as a full-time freelancer. It didn’t happen overnight and I’ve gone through some major struggles along the way, but I wouldn’t trade my experience for anything. Freelancing has given me the opportunity to be my own boss, work from home and coffee shops all over the city, make my own schedule, go on vacation whenever I want, and live my life on my own terms. But it’s not all cafe hopping and working from the couch in your pyjamas. It’s hard work – you’ll probably work harder than you ever had, and it’s a rollercoaster of emotions! 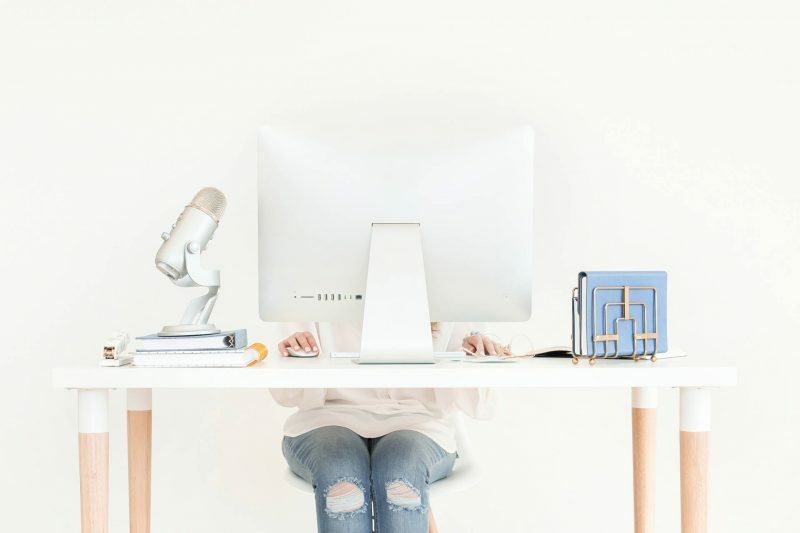 If you’re looking into starting your freelance career, here are 6 truths about freelancing, and some awesome tips for new freelance writers! 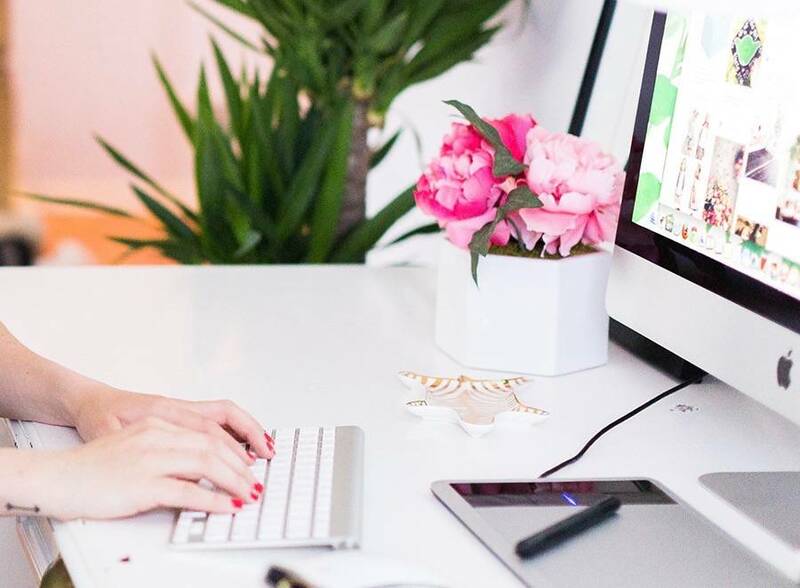 It’s not easy finding freelance clients, especially when you’re just starting out. 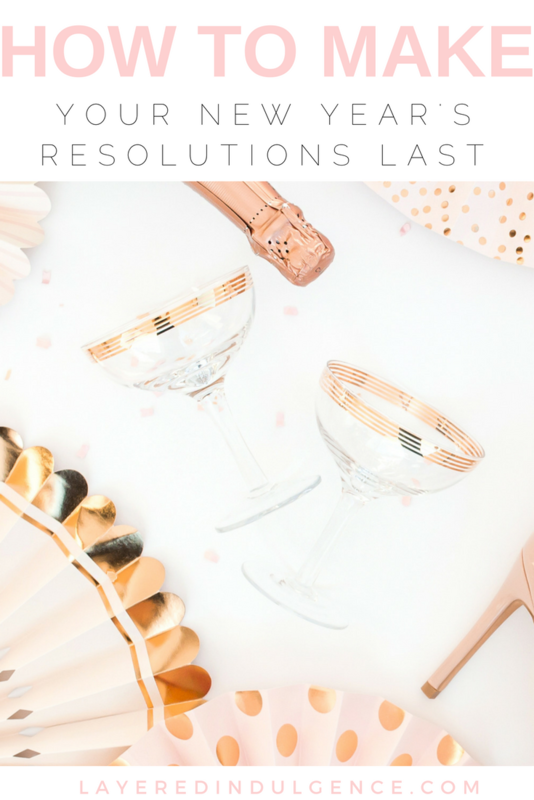 In the beginning, I spent tons of time looking through job boards, pitching websites, in freelance writing Facebook groups and on calls with potential clients. It’s a hustle and you won’t always find the writing job of your dreams right when you start out. But you have to start somewhere. Don’t forget, you’ll often be asked for samples of your writing, so that should be the first thing on your to-do list. PS. Wondering how to get started with freelance writing? If you want a full introduction and run down on freelance writing, you’ll LOVE the ebook Freelance Writing Simplified! 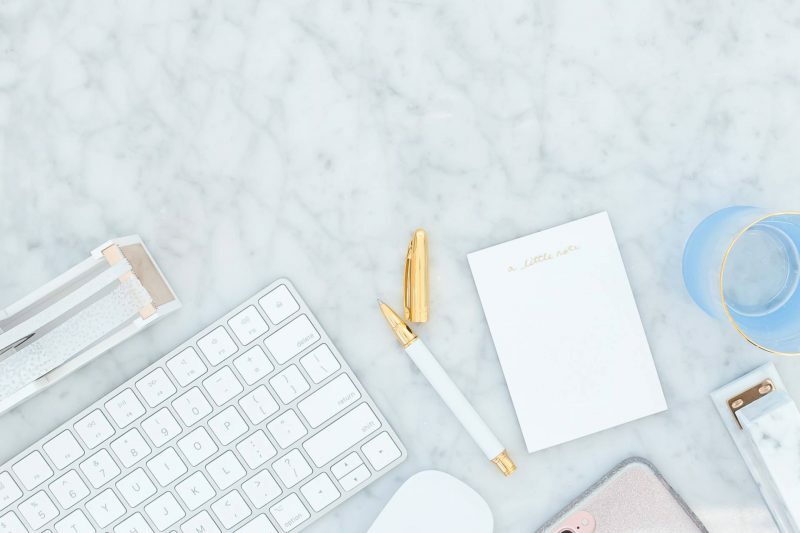 For just $25 you’ll learn exactly how to jump into the world of freelance writing, land your dream clients and make an income writing online! If you love writing, chances are you already have a blog or are thinking of starting one. I’ve landed a number of freelance clients (including one of my first ones!) by sending them article samples from my blog. Even if you haven’t had experience writing for other platforms, this shows them your writing, editing and creative skills. If you want to start a blog check out my step-by-step guide on starting a successful blog from the ground up! Guest posting is when you write an article that’s published on someone else’s website or blog. They are usually unpaid but can be great experience and can give you exposure as a new writer. Websites like Huffington Post are credible and accept guest posts. Look around at sites you love to read and see if there are any guest posting opportunities, or find an email you can reach out to to ask about guest posting! Making my own schedule was definitely a main draw for me becoming a freelancer. This doesn’t mean I wanted to sleep in until 10 am everyday or binge Netflix all afternoon, it means that if my clients or fellow entrepreneurs want to meet up during the day, I can schedule them in, or if my mom has a day off I can choose to take the day off with her the morning of, or I can go surprise my sister at work at her birthday in the middle of the day. You get to schedule your work around your life rather than your life around your work, which for me, is what it’s all about. But it’s also important to create a productive working schedule for yourself. I’m most productive in the morning. I pretty much can’t do work past 6 pm. I CAN, but I don’t feel like it’s my best work and pretty much will only do writing past 6 pm if I have a deadline the next day and haven’t finished something. If I work past 6 pm, it’s usually on more “mindless” things like creating Pinterest images for my blog or engaging on Instagram. But I know some people who work best in the late afternoon to night. Find what works best for you and do that! This is a system that works really well for me, and hopefully you find it helpful too! On Sunday nights I go through my plans for the week (meetings, gym classes, after work plans) as well as everything I need to get done, work-wise, for the week ahead. I write down all my freelance articles that are due and create a schedule for my week with work and personal items in mind. As a freelancer, your month-to-month income is never exactly the same. Some months can be really good and some month might not be so good. I’m lucky to have a number of really great steady clients at this point, but in the freelance world you never know what can happen. The amount of articles you’re writing for a publication could be cut down, you could lose a client altogether, or your client could come at you with extra work. As I said before, it’s a rollercoaster! You should always have contracts in place with your freelance clients and put in a clause that there needs to be 30 days notice for either one of your to stop work. I had a client in the past who dropped me because they didn’t have a budget anymore. I should have had a contract in place but didn’t, and ended up having my monthly income cut in half with no notice. Don’t make my mistake! Yes, you’re your own boss when you freelance, but you also have a bunch of mini bosses. Of course, it’s not the same as being in an office and answering to a manager, but you do have to answer to and organize your work around multiple clients, who are pretty much your mini-bosses. No one’s going to scold you if you start work late. If you don’t get all your work done by the end of the day, no one knows but you (unless you’ve missed a deadline of course). You’re accountable to yourself, and although that can be very freeing, it can also be a problem for some people. You have to be very organized and diligent to keep yourself accountable and get all your work done on time as a freelancer. You’ll usually have deadlines given to you as a freelance writer, but that doesn’t mean you should always be writing those articles the day of. Look over your schedule and see what you have going on that week. If you have 3 or 4 articles due on the same day, you’ll want to get most of them done ahead of time. If you have an article due on a day where you’re swamped with meetings, you’ll want to get it done ahead of time as well. Freelancing can be lonely AF. Yes, it’s amazing getting to work from home, but it can also be very isolating. And this is coming from someone who LOVES their alone time. I read somewhere that entrepreneurs have the highest rate of depression…I’m sure this mostly stems from unsteady income and feeling alone and isolated. It’s SO important to find your tribe. 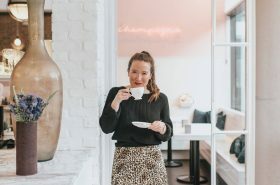 Connect with other freelancers and entrepreneurs and meet them to do work in coffee shops. I meet up with a friend at least once a week to work from a cafe, and even if I’m not meeting up with anyone I find it really helps just to get out of the house. Being around people can lift your mood instantly and make you more productive. Freelancing doesn’t have to be lonely. If you put in the effort to meet new people and get together with them, it doesn’t have to be lonely at all. I remember when I first started freelance writing. I thought about going on vacation and writing from a cafe in Paris or from a hotel in Rio. But when you’re actually on vacation, the last thing you want to do is be doing any work at all…even if it’s writing an article you love. Your vacation should be a vacation, and believe me, when you see the waves crashing and sun shining from your hotel room, you won’t want to stay inside to write. Before I go on vacation, I always give my clients a head’s up way before I leave and let them know I’ll be working ahead on my posts. This gives us both the opportunity to get everything in order before I go. They can provide me with the article topics ahead of time and I can get to work writing them. I just took a 3-week vacation at the end August/beginning of September and did absolutely NO work. It was definitely a hustle to get everything done before I left, but I was able to work out a schedule with my clients for work to be pushed ahead and I got to take the whole 3 weeks off! 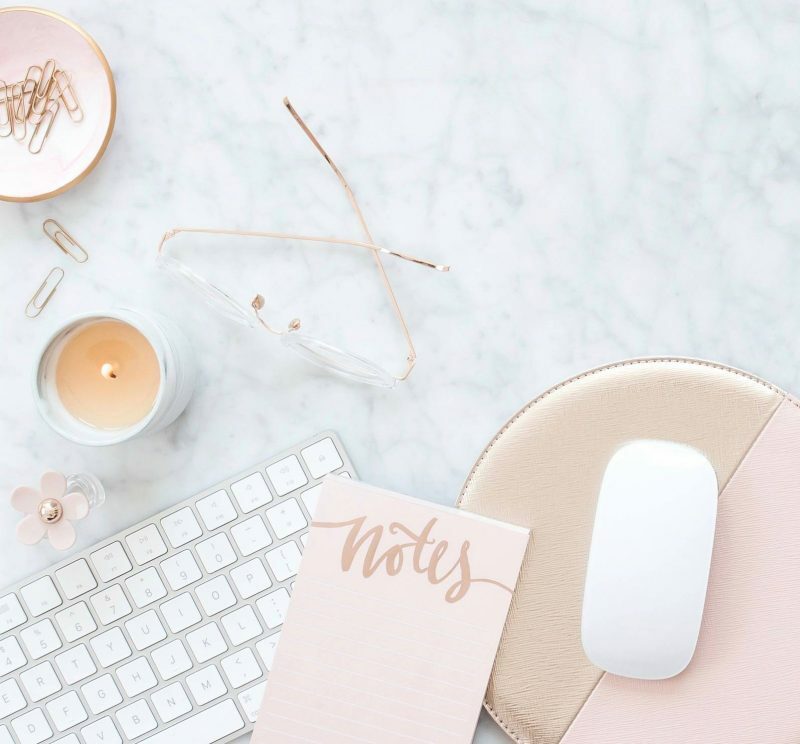 If you’ve been thinking about getting your freelance writing career started, take these truths and tips into consideration! And if you have any other questions about freelancing, leave me a comment in the comment section below! If you enjoyed this post, please share the image below on Pinterest! And make sure to say hi on Instagram and Pinterest!